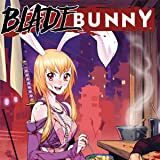 Bunny, the world's ditziest assassin, has been dispatched by the dragon Ao Lung on a quest to retrieve an ancient artifact before it falls into evil hands. 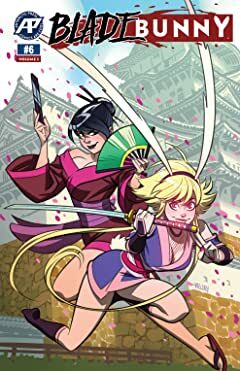 At long last, she and Ao Lung's pupil Kyoto have reached the monastery from which the pearl was stolen, but the monks there are acting rather strange... possibly because Bunny punched one of them. 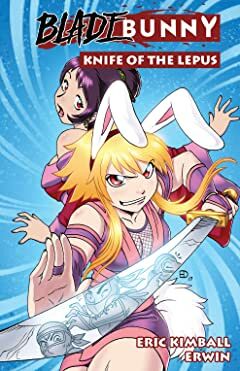 The Hare: a ninja assassin whispered about with fear in the darkest corners, a killer known for ruthlessness and cunning... is not in this comic. 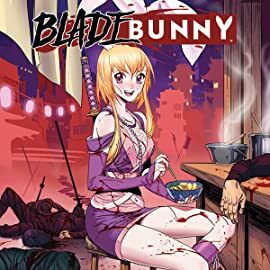 Meet Bunny, a pretty ninja girl who likes rainbows, dancing and eviscerating bad people when they blink. Hmm... maybe this comic is about The Hare after all. 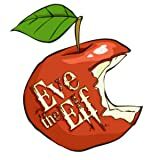 Eve the Elf is about a female elf who becomes more and more like the biblical Eve due to ambition and a need for revenge. John "Lazarus" Thunderstarr is the most important man in the universe. 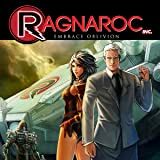 As Earth awaits a death sentence from the second big bang explosion that will arrive in seven years, John finds himself on the brink of a solution that will save everybody. However, everybody doesn't want to be saved and the universe is about to bear witness to a power struggle unlike anything they've seen before. How does a sweet girl learn to become a groovy vampire?! What all good ghouls do...go to Vampire School! Join Cherri Creeper and her friends in their first adventure at the Shadow Academy. Just think of Harry Potter meets Sixteen Candles with fangs & cupcakes! 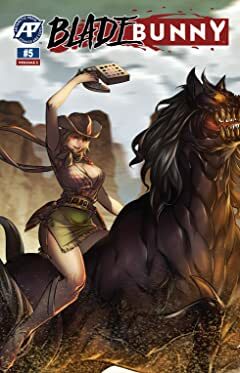 Lovers of Goth, manga, and all things cute will enjoy this manga.